No till tomato transplanting. Five Points, CA. April 23, 2018. 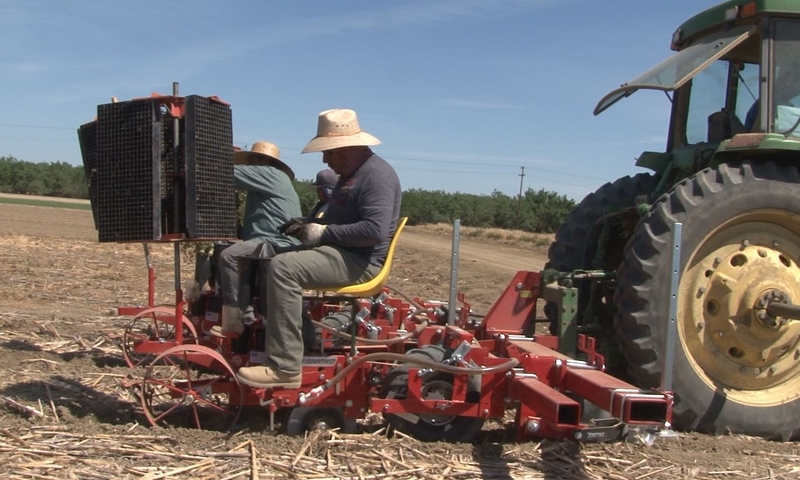 No-till transplanter used for establishing tomatoes in sorghum, garbanzo, and cover crop residue. Five Points, CA. April 23, 2018. 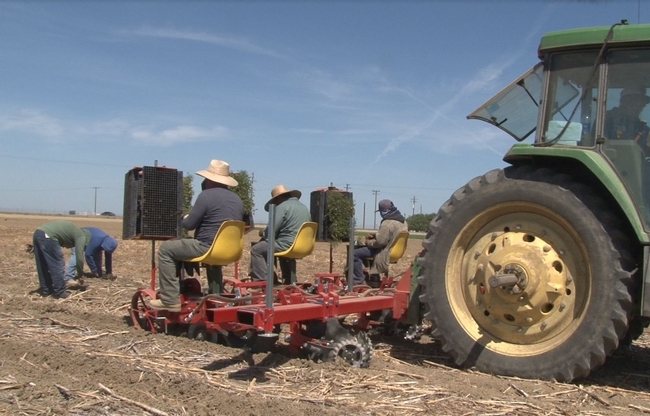 A short video showing no-till tomato transplanting into sorghum, garbanzo and cover crop residues is now available at the You Tube link - https://youtu.be/__lUEagZ8ME . This experimental activity took place in the longstanding NRI Project field in Five Points, CA that is evaluating a variety of cropping system efforts to reduce disturbance, promote biological diversity, decrease emissions, and improve soil function. Several local project partners including farmers, USDA NRCS, private sector, and other agency folks have been part of this study since it was started back in 1999. Over the years, this research has documented significant changes in a number of soil properties or characteristics including increase carbon and nitrogen, greater abundance and diversity of several biological indicators, improved infiltration and aggregation, lower fuel use and dust emissions, and reduced costs. The study is now phasing into an effort to evaluate more vegetable crops using reduced disturbance techniques.